Talking about death, and the end-of-life decisions that must be made once we pass away, isn’t comfortable for anyone. But it’s a conversation we should all have with our families at some point. A traditional burial, in which a preserved body in a coffin is placed in the ground or a vault, has been the social norm for more than a century. However, more and more people are looking for ways to simplify the burial process, reduce funeral costs, and lessen their carbon footprint at the same time. According to the National Funeral Director’s Association (NFDA), more than 50% of Americans are interested in exploring “green” funeral options. Having a green funeral and natural burial can save you thousands of dollars compared to the cost of a traditional funeral, as well as significantly reduce the negative impact on the environment. But what is a green funeral? How much does it cost, and how do you go about arranging one? Let’s take a look. In a green burial, the deceased is not embalmed or preserved in any way. Instead, they are wrapped in a shroud or placed in a biodegradable coffin made of cardboard, unfinished wood, hemp, cork, wicker, bamboo, or jute. Green burial is legal in all 50 states. The burial site offers another chance to limit the environmental impact of a funeral. Some traditional cemeteries provide space for green burials, sections of land within the larger cemetery where trees and flowers can be planted in place of a traditional marble headstone. In some cases, the grass is left to grow wild. Burial vaults, where the site is reinforced with concrete to ensure it doesn’t collapse, are not used in green burial. There are also green cemeteries. In these locations, large tracts of land are devoted solely to natural burial and are often preserved by a trust that protects the land from development. A green cemetery can be a wild, flowering meadow or a forest; green cemeteries look like any other natural park or preserve. The thought of being buried in a meadow, in nothing more than a simple cotton shroud, might sound outrageous or even illegal in today’s society. However, green burial is really just a return to the way we’ve buried our dead for thousands of years. According to NPR, commercialized and industrialized burial practices didn’t become popular until the Civil War when the dead often had to be transported home for burial. During the 19th Century, end-of-life care became more commercialized and costs continued to increase as the preservation process, and the societal expectations that go along with it, advanced. Green burial is much more common elsewhere in the world. The United Kingdom has over 200 green cemeteries, and most countries use simple practices and no preservation when burying their dead. Is Cremation Considered “Green” Burial? 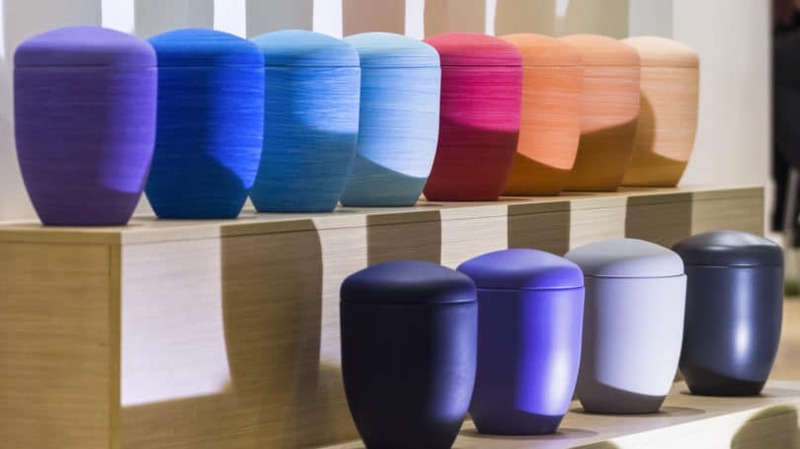 Compared to the environmental impacts of a traditional, full-body burial, cremation is a greener choice because it uses far fewer materials and space. Interring cremated remains takes up about as much space as a basketball, compared to the refrigerator-sized piece of ground needed for a full-body burial. However, cremation does have its environmental impacts. The cremation process puts carbon monoxide, nitrogen oxides, sulfur dioxide, and heavy metals into the atmosphere. NBC reports that cremation puts 573 pounds of carbon dioxide into the atmosphere. If the deceased has mercury-amalgam fillings, that mercury can become air pollution. The container the body is placed in, whether a casket or a simple box, also releases pollutants when it’s burned. Most modern crematoriums have filters in their smokestacks that prevent many of these pollutants from entering the atmosphere. However, it’s impossible to catch everything. A green burial provides a number of environmental and cost-saving benefits. According to the Funeral Consumers Alliance, each year, U.S. cemeteries bury over 30 million feet of hardwood and 90,000 tons of steel in caskets, 17,000 tons of steel and copper in vaults, and 1.6 million tons of concrete in vaults. A green funeral eliminates the use of these materials, making it better for the planet. Another benefit of a green funeral is that it uses no embalming fluid. Embalming fluid contains formaldehyde, a major carcinogen. A study published in the Journal of the National Cancer Institute found that funeral industry workers are at higher risk of developing cancer, specifically myeloid leukemia and brain cancer, due to their repeated contact with the formaldehyde found in embalming fluid. Green funerals also protect the local environment from the hazards of formaldehyde. Each year, the United States uses 5.3 million gallons of embalming fluid, and all of this embalming fluid must be processed in some way. In the funeral home, most of the embalming fluid is drained from the body after the viewing and then processed at the local water treatment plant. At the burial site, what’s left eventually drains out into the local watershed. Stop and think about how much goes into maintaining a traditional cemetery. All of that grass must be mowed on a weekly basis during the growing season. The grass is also often heavily fertilized, much like a golf course, and herbicides and pesticides are frequently applied. These chemicals negatively affect the environment, especially local watersheds. Green cemeteries or memorial woodlands don’t alter the natural environment the way a traditional cemetery does. These areas are left wild so that plant and animal life can thrive. Green cemeteries also save space. NPR reports that many cemeteries around the country are running out of space. The problem is especially prevalent in California and New York, where almost all cemeteries are full. Opting for a green burial means no land has to be put aside forever to house your remains since eventually, your body and coffin will disintegrate and be absorbed back into the earth. If you care deeply about the environment, a green burial allows you to go through the end-of-life process in a way that aligns with your values and beliefs. It can feel comforting and reassuring to know that your body will simply return to nature and rejoin the circle of life without causing any negative impact on the environment. 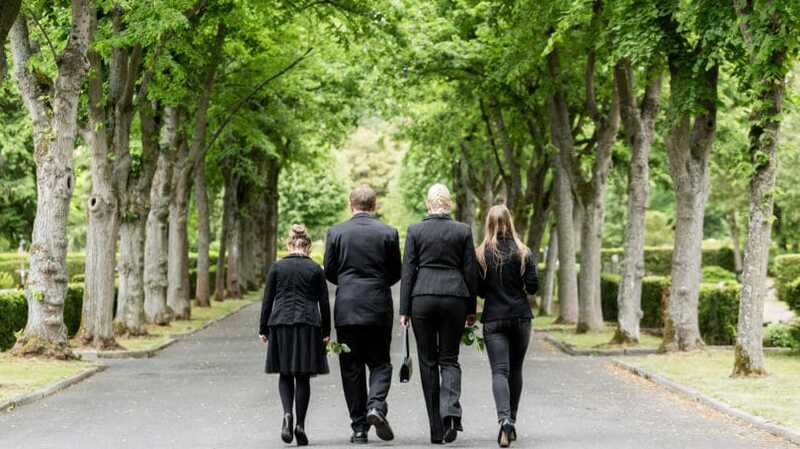 How Much Can You Save With a Green Funeral? According to the NFDA, the average cost of a funeral, including viewing and burial, is $7,360. However, prices can be much higher than this depending on location and casket selection. And this price does not include the cemetery costs, which can be $2,000 or more. When you start looking at the line-by-line breakdown of funeral costs, it’s easy to see how you can save thousands of dollars by planning a green funeral. For example, the average cost to embalm a body is $725; a green funeral skips this step entirely. 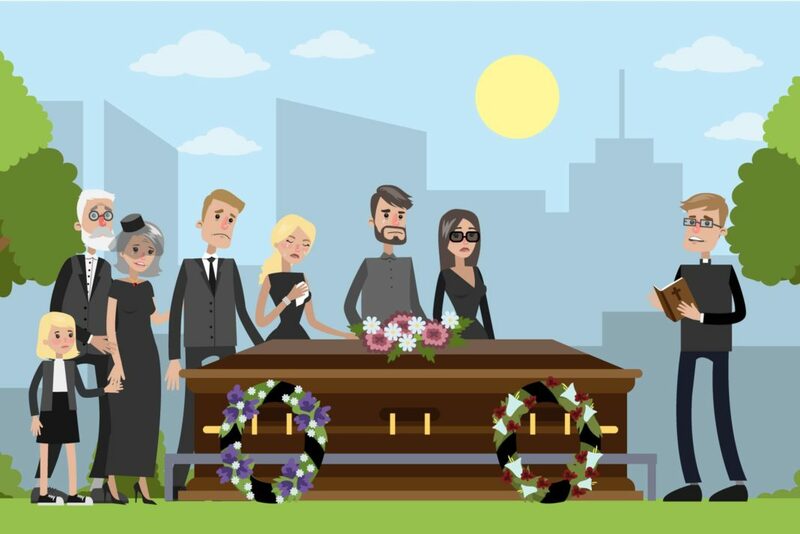 The average cost of a metal casket is $2,400; a biodegradable casket costs, at most, a couple of hundred dollars, and a shroud or homemade quilt can cost a few dollars or nothing at all. 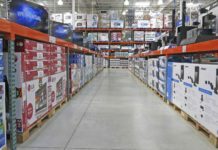 Making the greener choice for these two options alone can save you over $3,000. When it comes to the grave site, a green funeral could cost around the same as a traditional cemetery plot or could cost less, depending on your preferences. A traditional plot usually costs $1,200 to $2,000 or more. In some states, such as California, an average plot costs almost $4,000. In green cemeteries that focus heavily on preservation, a grave site might cost $2,000 or more; however, most of that goes into a trust that will protect the area from development for years to come. The cost to inter cremated remains in a green cemetery ranges from $200 to $1,000. When a death occurs, family and friends are often forced to make some very difficult decisions while in a state of shock and grief. And as we all know, we don’t make the best decisions when we’re under emotional stress. Throw in an unscrupulous funeral director, and your family could end up overpaying by thousands if they’re not careful. It might feel strange, and even scary, to think about planning for your own funeral. But as one writer at Mother Earth News discovered, researching your own funeral options can lead to a surprising dividend: peace with the death process. Knowledge is power, and understanding what’s involved with the end-of-life process can make it a lot less scary. Figuring out how you’d like to be interred allows you to choose the option that best aligns with how you lived your life. It also takes some of the pressure off your family. And knowing your options (and costs) in advance can help you prevent unethical funeral directors from taking advantage of your loved ones. Your memorial service and burial can be as green as you want them to be, and there are plenty of options to consider. Here’s what you need to do to plan an environmentally friendly funeral. The NFDA reports that over 60% of Americans feel it’s “very important” to talk to their family about their funeral wishes; however, only 20% have done so. Discussing death isn’t a fun prospect for anyone, but talking to your family about what you want your final legacy to be is the only way to make sure your wishes are followed. While you can make your wishes known in your estate plan or will, it’s best to talk openly about your desire for a green funeral, and why it’s important to you, so your family is committed to the process before your death. Even if there are no green cemeteries in your area, you can still have a green funeral. First, ask the funeral home director to forgo the embalming process. No state or federal law requires embalming. Some states have embalming laws for situations in which the body is not buried within a specific timeframe. However, in most states, refrigeration is an acceptable alternative. You also don’t need to buy a coffin from the funeral home, or another company, in order to have a funeral. The Federal Trade Commission stipulates that funeral homes have to accept a coffin provided by the customer at no extra charge. That means if you want to be buried in only a shroud, the funeral home has to, by law, accept that shroud for your burial. In years past, some funeral homes charged unwary families up to $1,000 to use the funeral home’s coffin. Make sure your family knows this is illegal. There are over 150 certified green cemeteries operating in the U.S., and thanks to growing demand, more are opening each year. You can find a certified green cemetery or a hybrid (a traditional cemetery that offers green spaces) in your area through the GBC. It’s also important to ask the cemetery how their graves are dug. Some cemeteries require that graves be hand-dug to protect local plants and minimize environmental impact. Ask that friends and family avoid sending fresh-cut flowers to the funeral home or wherever the memorial service will be held. Depending on the type of flower and the time of year, cut flowers can be flown in thousands of miles from South America, using up fuel and releasing carbon emissions into the atmosphere. A greener option is to purchase locally grown potted plants, which can be taken home by friends and family. You can also request that memorial donations be made to your favorite charity in lieu of flowers. This is a great way to leave a legacy and support a cause you like. Another way to leave a positive legacy and make a real difference in the world is to register as an organ donor. As of August 2017, there were over 116,000 men, women, and children on the national transplant waiting list. Twenty people die every day waiting for a transplant, but one donor can save up to eight lives by donating their heart, lungs, liver, kidney, pancreas, and intestines. You can register to be an organ donor at OrganDonor.gov. Another option is to donate your body to science. Donated bodies are used to advance medical technology and treatments for conditions such as Alzheimer’s disease, cancer, diabetes, multiple sclerosis, ALS, and arthritis. You can sign up for whole-body donation through ScienceCare, the world’s largest accredited whole-body donation program. It is legal to have a home funeral and even be buried at home. Home funerals were common until the mid-20th Century when they began to fall out of favor as funeral homes and directors emerged and took over the death-care process. 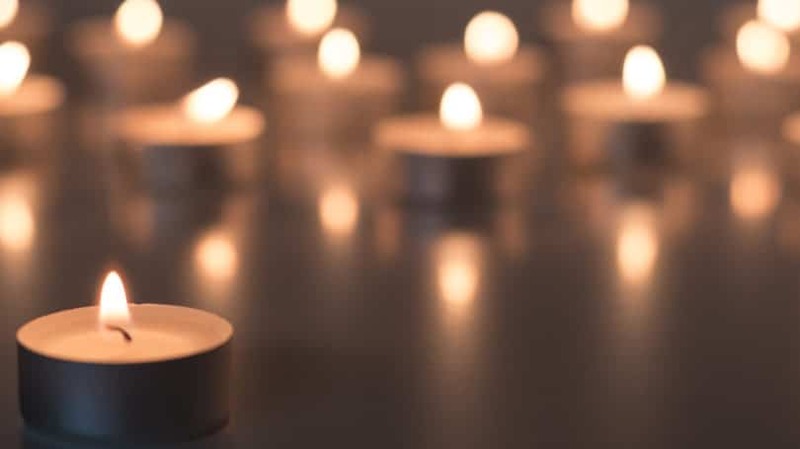 Today, however, home funerals and burials are increasing in popularity as people look for more personal, and less expensive, options. With a home funeral, loved ones typically take care of the deceased at home. That means they bathe and dress the deceased for viewing, as well as host the funeral or memorial service for friends and family. Typically, the deceased will spend two or three days at home for viewing and services and then be transferred for burial or cremation. Each state has different requirements for home funerals, but some require the presence of a funeral home director or medical examiner (or both) to certify a death certificate. If you have enough space, you might also consider being buried at home. Home burial laws differ in each state. Most states allow home burial as long as you check local zoning laws to make sure you’re not in violation, and you might have to have a minimum number of acres of land. Other states require that you apply for a home cemetery permit. Some states, such as California and Indiana, require that bodies be buried in established cemeteries. You can see burial laws for each state here. Home funerals and burials are a great fit for some families because they can make the grieving process easier. Families can maintain a close connection with their loved one while they honor their memory in the comfort of their own home. For some, home funerals feel more natural and traditional. However, this option isn’t for everyone. As USA Today points out, funeral directors are trained to handle unexpected problems and issues that can occur as a result of decomposition. These can be physically and emotionally challenging for families who don’t have the equipment or training needed to address such issues, especially during a time of grief. You can find out more about having a home funeral at the National Home Funeral Alliance. Some funeral homes carry green caskets, but most do not. That can put families in a bind when they’re making last-minute funeral arrangements and trying to abide by the wishes of their loved one. To make the process easier, think carefully about how you’d like to be laid to rest and do what you can to plan for it. For example, do you feel comfortable being buried in a simple shroud or homemade blanket? If so, make sure your family knows this. If you’d like to be buried in a biodegradable coffin, research vendors to find a company that provides what you want. Companies such as Northwoods Casket Company, Nature’s Casket, and The Old Pine Box make sustainable, handcrafted, and biodegradable wood caskets. You can find other vendors through the GBC. The burial site will largely determine what kind of marker you’re allowed to use for the gravesite. In some hybrid cemeteries, a traditional headstone is still required even if you’re being buried in their green area. In other certified green cemeteries, a natural marker must be used. It’s important to check with the cemetery to find out what guidelines or regulations they have in place for gravesite markers. Some green cemeteries, especially those that focus heavily on environmental preservation, will ask or even stipulate that you use only indigenous plants or flowers to help strengthen the local ecosystem. Some cemeteries will record your gravesite’s exact location through GPS and provide those coordinates, along with a handheld GPS device, to future visitors. Resomation, also known as water cremation or alkaline hydrolysis, is a relatively new technique that provides families with another environmentally friendly option at the end of life. In resomation, the body is placed in a sealed, pressure-controlled chamber. Water and an alkali-based solution are then added to speed up decomposition. The pressure is increased to 145 pounds per square inch, and the temperature is raised to just over 350 degrees. The process only takes a few hours, and when it’s complete, all that’s left is pure white bone ash, which is collected and given back to the family in an urn. Resomation is an environmentally friendly choice because it requires one-seventh the amount of fuel as cremation and has none of the negative impacts of a traditional burial. Its only downside is that it requires 300 gallons or more of water. However, the water used in the resomation process can be cleaned safely by a water treatment facility. The legal website Nolo.com keeps an updated list of which states currently allow resomation for both pets and humans, so check here to see if the laws have changed for your state. Costs for resomation vary, but most funeral homes that offer this service charge around the same as a traditional cremation, or $1,000. Many people are choosing a more natural funeral and burial in order to lessen their negative impact on the environment. It’s also an appealing option because it’s much more affordable than a traditional funeral. How your remains will be laid to rest is not an easy topic to consider. No one likes to think of their own mortality, but death is something that will happen to every one of us, whether we want to discuss it or not. Planning for your passing will help ease the financial and emotional burden on your loved ones when the time comes. Have you done any end-of-life planning yet? Would you consider a green funeral?